A portrait of a sailmaker for windmills. Maritime satellite communications provider Inmarsat says it now connects leisure and fishing vessels with a specially designed broadband service. Accessing weather information and chart updates, keeping in contact with loved ones or simply checking the news are now as simple to do at sea as they are on land with the launch of Fleet One from Inmarsat Maritime. From now on, yacht and fishing boat owners can take full advantage of maritime broadband services previously only available to much larger vessels. Fleet One is delivered through a small terminal, especially created for leisure and fishing vessels. It can be quickly and easily installed, providing a cost-effective solution enabling small vessels to remain connected at all times. Fleet One also supports Inmarsat’s unique ‘505’ safety service, which in an emergency routes you directly to a MRCC. This means that in one phone call one can alert the safety services of your position and nature of distress, by reassuringly speaking to the Search and Rescue Services knowing that assistance is on its way. Rescuers search for weeks, with the latest technology – but of the lost flight MH370 is no trace. In some places the forces do not even know the depth of the sea. Now the area is to be measured. All data gathered in nearly two months of searching for missing Malaysia Airlines Flight MH370, which disappeared with 239 people on board, will be re-examined by an international panel of experts, officials said Monday. Teams searching for the missing Malaysia Airlines plane are to deploy a robotic submarine for the first time. Bluefin-21 drone has be sent down to search for wreckage on the sea floor. Warren Truss, Australia’s deputy prime minister, said the “audit” of collected data, which has yielded no positive results despite crews scouring more than 1.8 million square miles of the Indian Ocean. Officials, who met Monday with senior representatives of the Malaysian and Chinese governments in Canberra, Australia, are shifting efforts to an expanded area of seafloor in a remote part of the Indian Ocean off Western Australia. "We know very clearly the area of the follow-up search will be even broader, with more difficulties and tougher tasks," Yang Chuantang, China's Transport Minister, said Monday. The Bluefin-21 Autonomous Underwater Vehicle is craned over the side of the Australian Defense Vessel Ocean Shield in the southern Indian Ocean during the continuing search for the missing Malaysian Airlines flight MH370 in this picture released by the Australian Defense Force. “It is likely that the debris of flight MH370 sunk to the bottom of the ocean before we started the search,” Truss said, adding that authorities are now considering equipment that can go deeper than Bluefin-21. The Ocean Shield vessel has returned to Australia’s Fleet Base West on Monday to refill its supplies and “conduct routine maintenance and software modifications to Phoenix Autonomous Underwater Vehicle ‘Artemis’ Bluefin-21,” following which it will resume its search in the area where the underwater hunt for the missing jetliner will continue," the Joint Agency Coordination Centre said in a statement. The U.S. Navy will continue supporting the MH370 sub-surface search effort for approximately four more weeks with the help of Bluefin-21 side-scan sonar, at the request of the Australian government. Authorities have so far relied on satellite information and pings in picking their search area for the missing Beijing-bound Boeing 777. The search for the passenger, which already has engaged dozens of countries and agencies, is expected to become the most expensive search of its kind in aviation history. National Geographic : Can an Unmanned Mini Yellow Submarine Find Missing Flight 370? Scientists used video and trawl surveys to take nearly 600 samples from 32 sites in the Atlantic and Arctic oceans and the Mediterranean Sea, from depths of 35 metres to 4.5 kilometres. They found rubbish in every Mediterranean site surveyed, and all the way from the continental shelf of Europe to the mid-Atlantic ridge, around 2,000km from land. 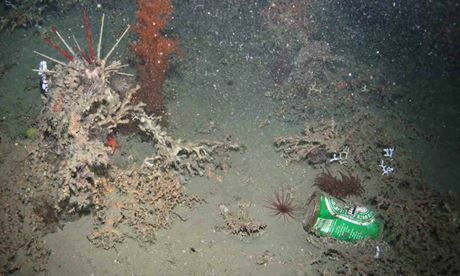 A Heineken beer can found by a remote-operated vehicle in the upper Whittard canyon at 950m water depth. Plastic was the most common type of litter found on the seafloor, accounting for 41%, while rubbish associated with fishing activities (discarded net and fishing lines) made up 34%. Glass, metal, wood, paper and cardboard, clothing, pottery and unidentified materials were also documented. 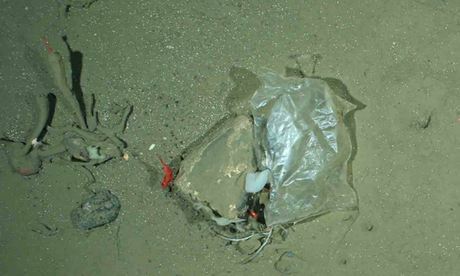 A plastic bag recorded at 2,500m in the Arctic Ocean. Plastics are by far the most abundant material, introducing toxic chemicals that can be lethal to marine fauna and break down into "microplastics" that have become the most abundant form of solid-waste pollution on Earth. Plastic pollution has also been found to be changing microbial processes in the ocean. Besides the visible impact of marine pollution, litter can be mistaken as food and ingested by a wide variety of marine organisms. Entanglement in derelict fishing gear – known as "ghost fishing" – is a serious threat to mammals, turtles, birds and corals. Floating litter also facilitates the transfer of alien species to new habitats. Cargo net entangled in a cold-water coral colony at 950m in Darwin Mound. 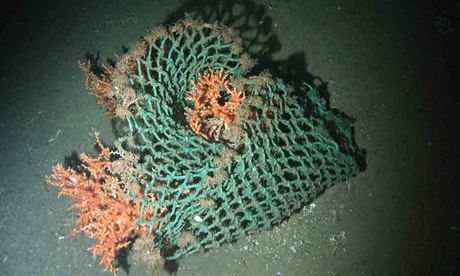 GeoGarage blog : Trashed / Trash in the deep sea: bringing a hidden problem to light / How to rid the seas of ‘plastic soup’? / Pollution of Indonesian waters on full display in surf photos / Global call to stop plastic pollution presented at Rio Earth Summit / How much plastic is in the ocean ? To look at an ancient globe is to look at the Earth as it was seen by the people of another time. It reflects their understanding of the continents and seas, and it captures political divisions that have long since shifted. 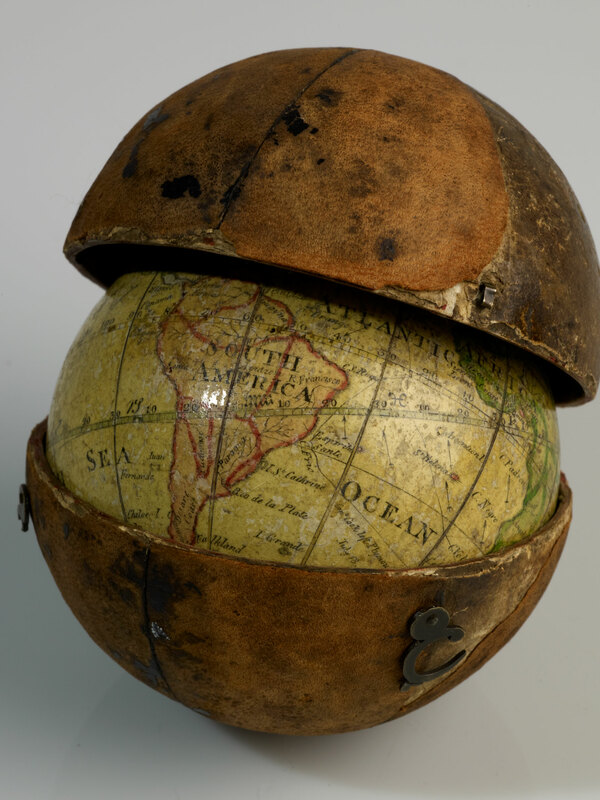 This "dissected globe" dates to around 1866. At the time such items were a popular toy for children, which may explain why so few survive with all of their pieces intact. Even the typography and colors of a globe are indicative of the time and place of its origin, says Sylvia Sumira, a London-based conservator of ancient globes. This is the oldest surviving terrestrial globe made in China. 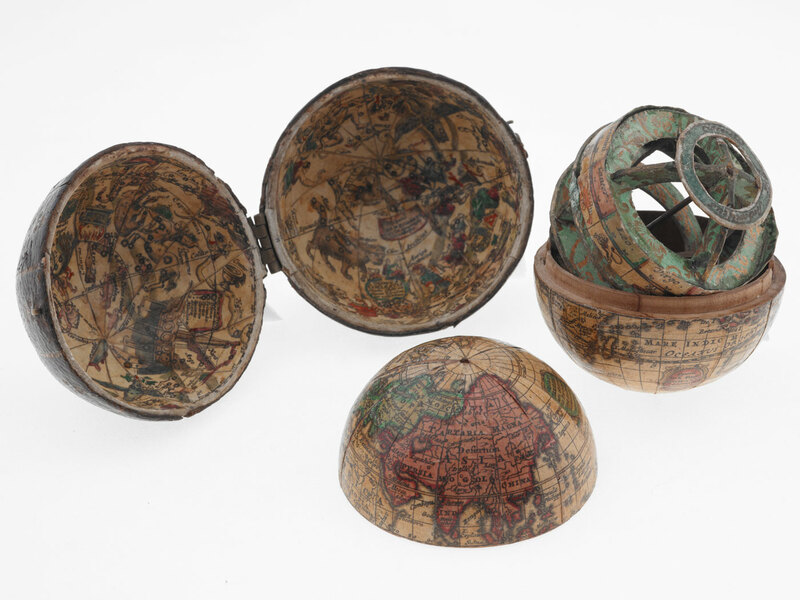 Unlike other Chinese maps of the time, which showed China at the center and left the rest of the world blank, this globe shows the world as it was understood in Europe at the time. Often, it’s a thing of remarkable craftsmanship and beauty. “If you go into a room and there’s a globe, your attention is immediately drawn to it,” Sumira said. 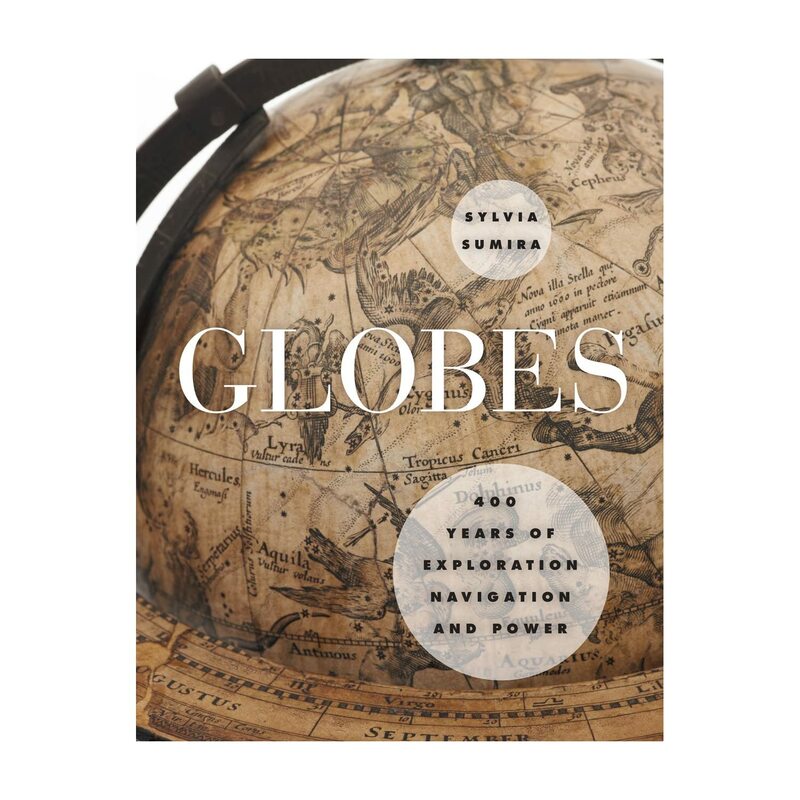 In her lavishly illustrated new book, Globes: 400 years of exploration, navigation, and power, Sumira traces the history and making of globes and showcases dozens of fine examples drawn largely from the collection of the British Library. They were published in an atlas by Vincenzo Coronelli, a enterprising Venetian cartographer who realized that books were easier to transport -- and therefore easer to sell -- than globes. Contrary to the popular misconception that nobody knew the Earth was round before Columbus, the ancient Greeks described the making of globes (in verse, no less) in the third century B.C. The oldest surviving globe dates back to 150 A.D. But they really took off between about 1500 and 1900, and it’s this period that’s the focus of Globes. There are records of globes being brought on ships during the age of exploration, but they probably weren’t used for navigation, Sumira says. For one thing, any globe that’s small enough to be brought onboard would have to be scaled down to the point of being useless for charting a course on the high seas. This pocket globe is just three inches in diameter. It was made in 1793 by Scotsman John Miller. “They’re more a symbol of navigation than a tool for navigation,” she said. 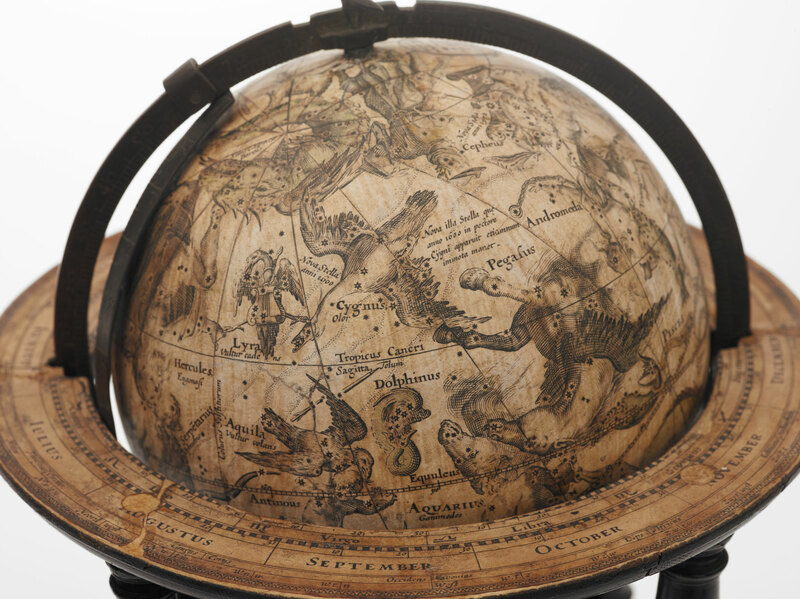 This 1772 celestial globe spurns the traditional mythical beasts to pay homage to the hottest tech trends. Here you can see call outs to the constellations Microscopium and Telescopium. Not visible in this view: Air Pump. Not that ancient globes don’t convey some useful information. Much of it is contained in the horizon ring that surrounds many of them. Concentric circles printed or engraved on the ring indicate the degrees of the compass, the months of the year, zodiac signs, and sometimes information about winds. The inside of the leather case is lined with a celestial map. The terrestrial globe opens up to reveal a hollow armillary sphere with a ring depicting the zodiac signs and a tiny Sun at its center. Several globes in the book come in pairs: one terrestrial, one celestial. “The constellations were very much used for navigational purposes,” Sumira says, so being able to study pairs like this would have been very instructive for mariners in training. The celestial globes sometimes look like someone let the animals out of the zoo: the stars that make up a constellation are overlaid on the figure that gives it its name — a lion for Leo, a big bear for Ursa Major and so on. 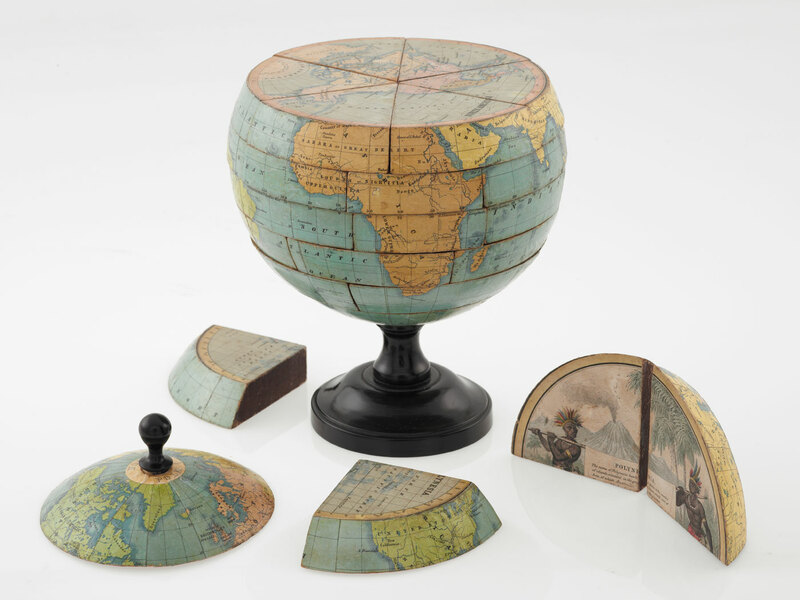 This tiny pocket globe made in 1831 is just 1.5 inches in diameter. Dotted lines trace voyages by Captain Cook and other explorers. 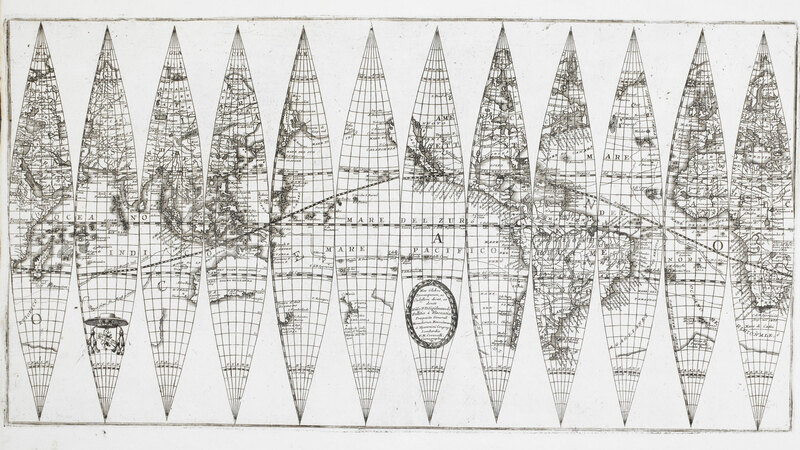 Getting your bearings with the celestial globes is a little tricky. It helps if you pretend you’re God, looking down at the heavens from on high. The earth would be a dot inside the center of the globe. From this view, the constellations are mirror images of how they appear from Earth. “They’re just delightful little things,” she said. The smallest is just 1.5 inches in diameter. 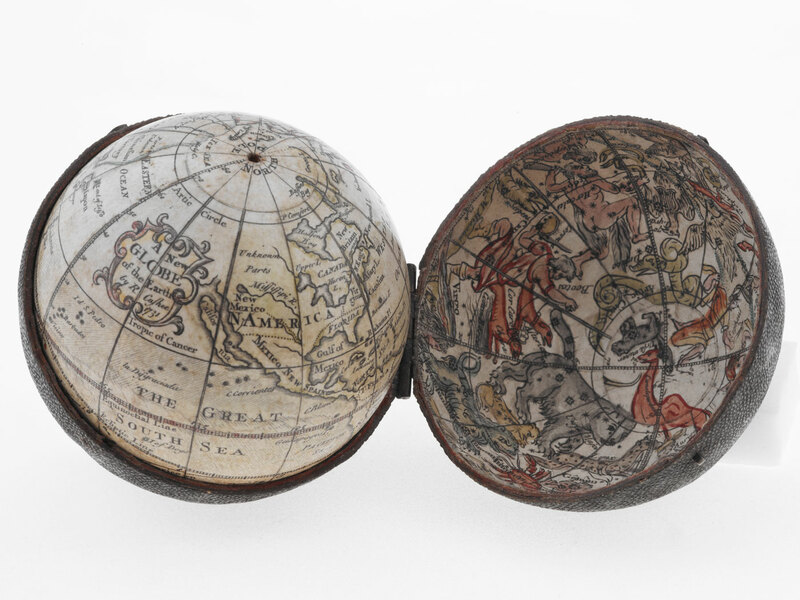 Many come in a wood or leather case that opens up to reveal a terrestrial globe that can be taken out. 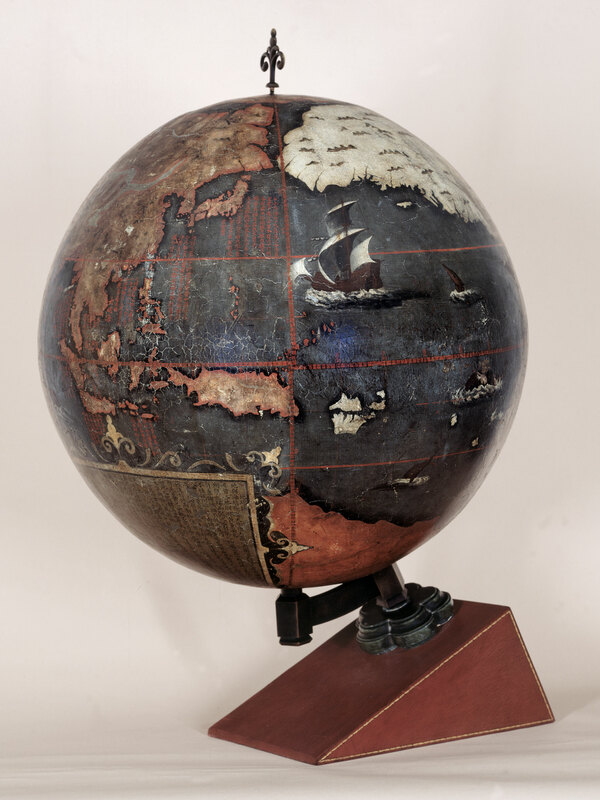 The concave surface of the case often contains a matching celestial globe. Getting tossed around by shorebreak and slammed into the sand day after day is a rough go; Clark Little wouldn’t have it any other way. In fact, for the North Shore local, it’s all in a good day’s work. But the Waimea addict didn’t grow up snapping shots with his father’s camera like so many photographers do. He instead set out to capture his longtime stomping grounds when his wife came home with a framed photograph of Waimea shorebreak, an image he figured he would be able to easily replicate. Having never owned a camera, he threw a cheap “waterproof” casing over a cheaper point-and-shoot and headed out to the beach. Since that first attempt, Clark has not only emulated his wife’s purchased wall art, but — with a gallery in Haleiwa and international recognition — has become a heavily respected fixture of wave photography.